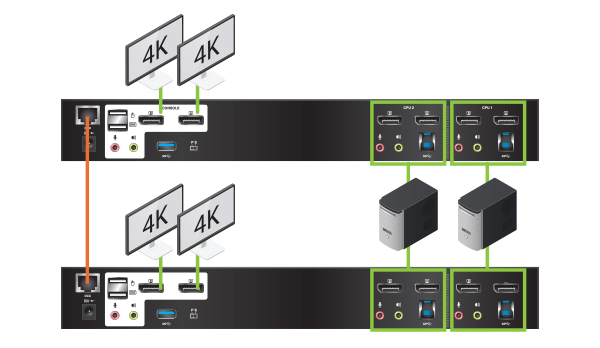 Maximize your high-end dual DisplayPort workstations by connecting them to the 2-Port 4K Dual View Display Port KVMP. 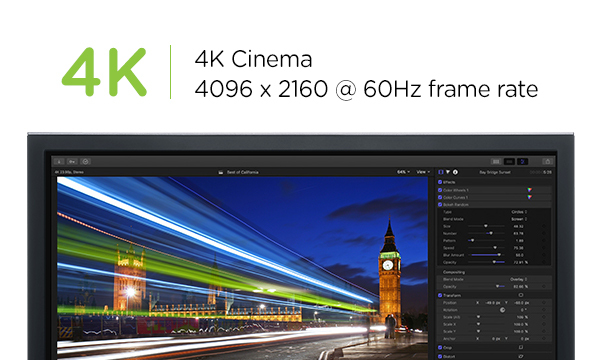 Experience Cinema 4K resolutions along with rich bass and 7.1 surround sound while switching between both computers and sharing two USB 3.0 peripherals with the push of a button. Join two 4K Cinema DisplayPort monitors to your premium desktop or laptop to experience superior screen, image, and video quality. 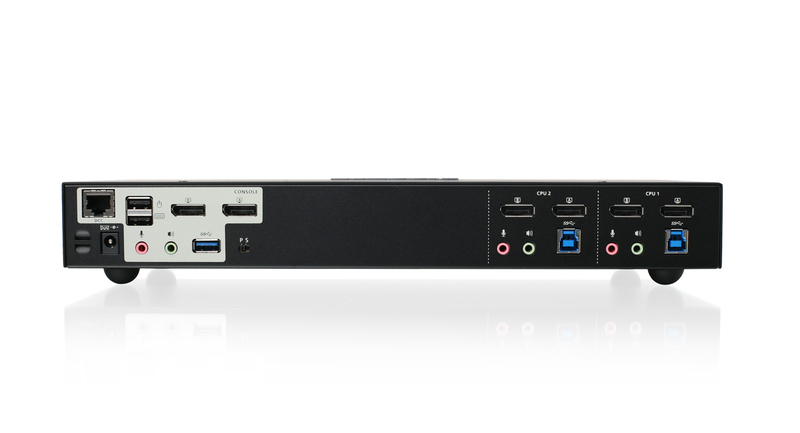 The Dual View DisplayPort KVMP delivers a 4K resolution standard of 4096 x 2160 at a frame rate of 60Hz. 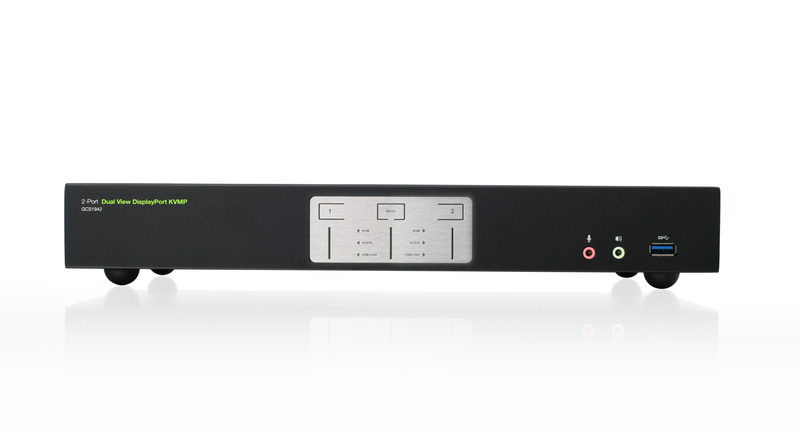 Designed for professional film and video production industries, the 2-Port KVMP supports environments requiring cinematic graphics resolution. Superior quality is also ideal for applications in motion graphic design, animation, engineering, architecture, and media design. Switch and access two DisplayPort computers from the push-button front panel or hotkey combination on your keyboard. Utilize the latest in mouse port-switching functionality to change ports by simply clicking the wheel button on your 3-button USB mouse. 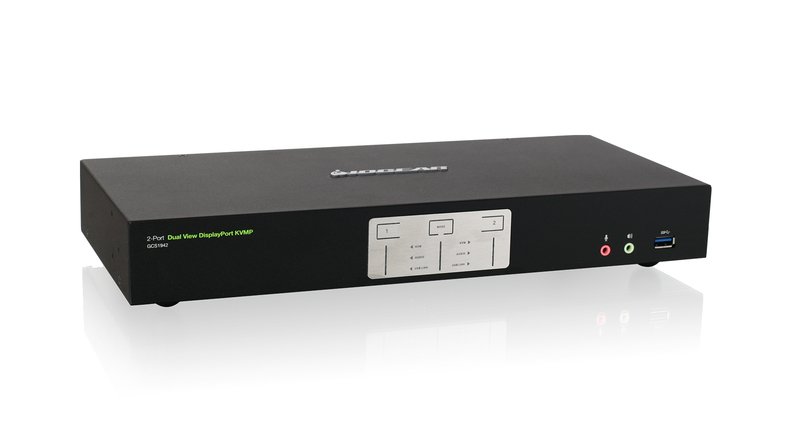 Tackle large projects and double your desktop viewing space by adding a second 2-Port KVMP (GCS1942). 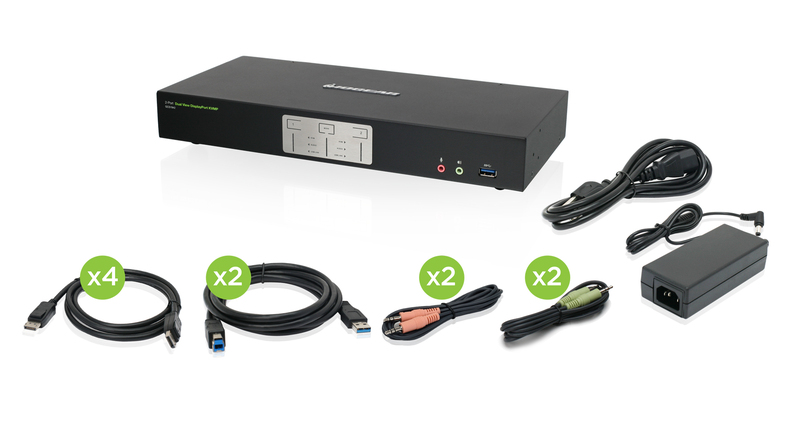 Expand your workstations to accommodate up to four Cinema 4K DisplayPort monitors. 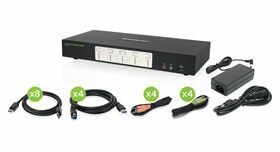 Additional smart connectivity features turn your workstation into a convenient, easy-to-use powerhouse. 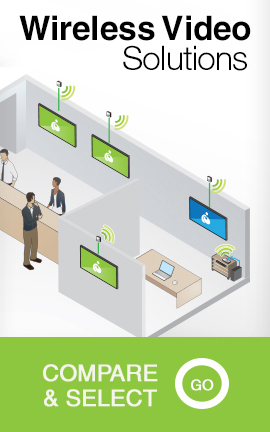 The Power on Detection ensures automatic connection to the next powered-on computer. With Multi Stream Transport (MST) support, double your desktop viewing space by daisy chaining each monitor to another monitor, accommodating up to four DisplayPort monitors*. The built-in USB 3.0 ports provide connectivity speeds up to 5Gbps and compatibility with legacy USB 2.0 and 1.1 devices. Work on computer "A" without interrupting USB peripheral connectivity on computer "B"
1MST requires two monitors capable of DisplayPort 1.2 daisychaining, or use of an external DisplayPort MST Hub. PC Source must be DisplayPort 1.2 compliant. A DisplayPort 1.1a monitor can be the last monitor in a DP1.2 chain. 2 Dual-Mode DisplayPort (DP++) requires active HDMI and DVI adapters for most display setups. 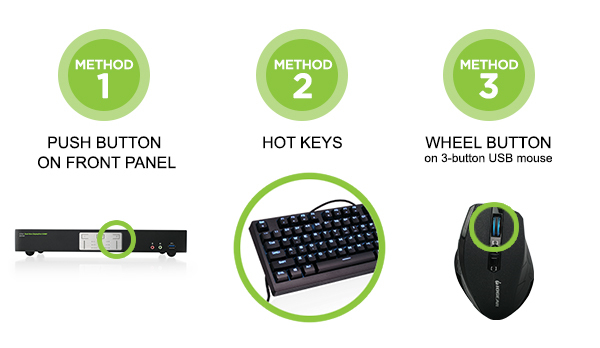 3 Mouse port switching supported alongside mouse emulation mode using a USB 3-button mouse wheel. 4 HD audio through DisplayPort cannot be switched independently. 5 PC keyboard combinations emulate Mac® keyboards. 6 DB9 to RJ-45 cable not included.